Many residents moved into the community in the late 40’s and early 50’s as the area developed as the cultural and education center for African Americans. Robert W. Coleman, one of the community’s renowned residents, established the first school of the blind for African Americans. Today, the neighborhood clusters around Mondawmin Mall, the Rouse Company’s pioneer urban shopping mall, and sits next to sprawling Druid Hill Park, home to The Maryland Zoo. A transportation hub sits near the mall and residents can zip to downtown Baltimore, the MARC station or out to the county. It is also home to an outstanding public elementary school, Gwynns Falls Elementary, which consistently surpasses the statewide average test scores for both reading and mathematics across all grade levels and has a nationally recognized music program. The expansion of Mondawmin Mall is one of the exciting new redevelopments on Baltimore’s west side. General Growth Properties, owner of the mall, is completing a $70 million expansion with the city’s first Target store. Immediately to the south, Coppin State University’s new Arena and Physical Education Center is under construction and the $56 million Health and Human Services Building is near completion. Most of the neighborhood’s residential areas consist of brick rowhouses. Those built before World War II have large front porches and in some cases Victorian styling. Those built after the war are mostly two-story brick structures on wider lots than found in the city. A few single dwellings near the Walbrook area reflect their origins as summer homes in the early 20th century. Mondawmin is close to Baltimore City Community College and many of Baltimore’s most active churches. 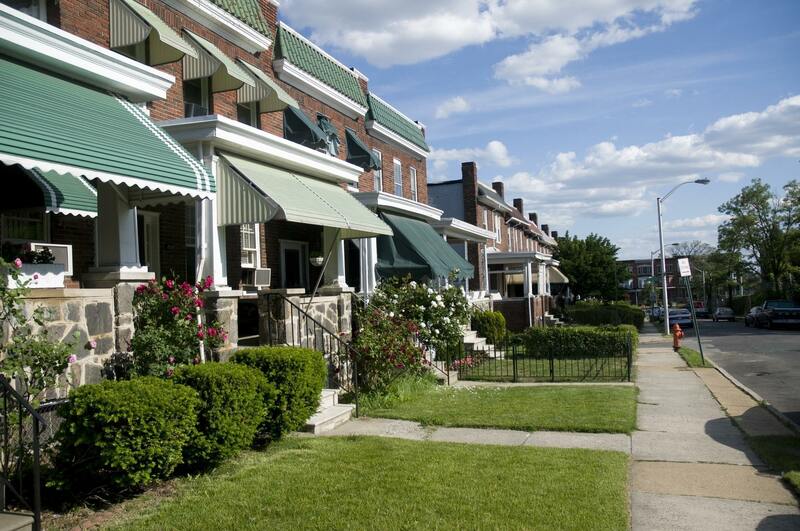 Bringing together Mondawmin’s diverse residents and businesses is the Greater Mondawmin Coordinating Council, which has a long-standing history of promoting neighborhood activism.